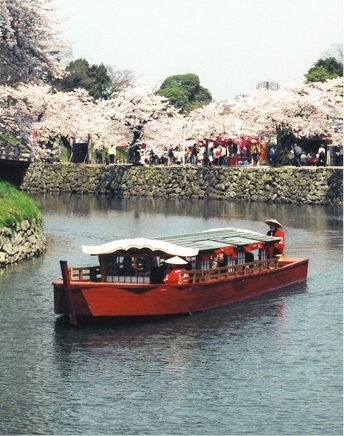 pleasure boat in the moat of Hikone Castle, like the castle lords of old. 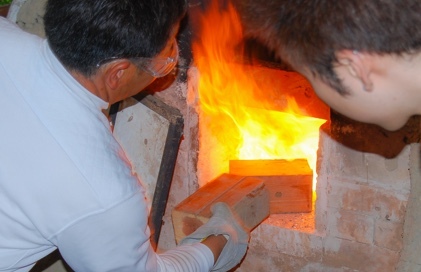 In Hikone, there are many chances to touch upon local Japanese traditions and arts. Visitors who make a reservation in advance via their hotel or ryokan can particpate in a special hands-on traditional craft experience. Hikone is known for several traditional crafts, and is one of just a few areas in Japan that produce household Buddhist altars (butsudan), using traditional techniques. 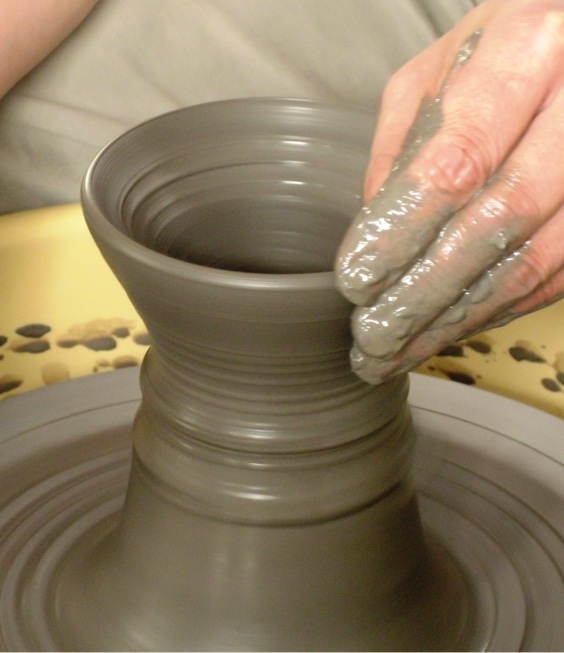 Hikone is also the birthplace of koto-yaki pottery, and introductory pottery classes are held for visitors: create your own cup or plate just as you’d like! From rickshaws to the pleasure boat of Hikone Castle moat, to bicycle taxis, Hikone is full of unusual sightseeing transport. 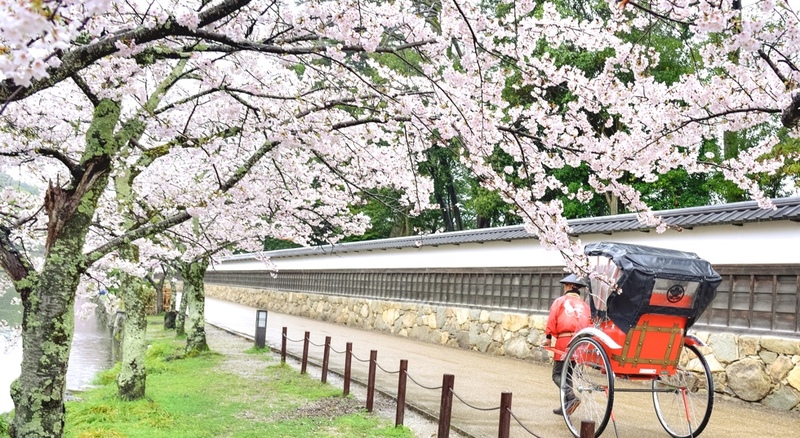 Hikone is easily accessible by train, and its lovely to enjoy the changing scenery of its seasons, but the most popular ways to get around the city are by rickshaw and bicycle taxi. Listen to local stories and insider information from your driver or puller as you gently circle the city and touch upon Hikone’s culture and natural surroundings. Gliding around Hikone Castle in the pleasure boat (yakatabune) in the castle moat also makes for an unforgettable trip in any season.